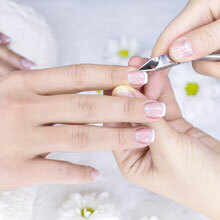 Includes shaping nails, trimming cuticles, hand massage, and new polish application. 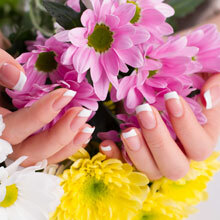 Includes everything in the classic manicure with the addition of gel take off. Includes everything in the classic manicure with the addition of powder take off. Relieve your tensions by relaxing on a massage chair while soaking your feet in warm water. This pedicure includes: toe nails trimmed and shaped, cuticles cleaned, hot towel wraps, and completion with polish of choice. Includes everything in the classic pedicure with the addition of gel take off. 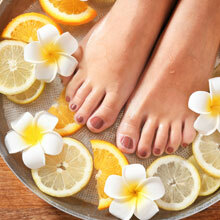 Time to treat your feet and legs what they truly deserve with our very own deluxe pedicure. 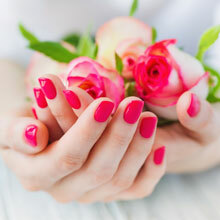 An exfoliate pedicure is extended with tropical mask and cooling gel massage to give your feet a relax spring breeze feeling with callus removal. 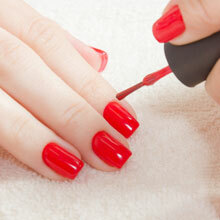 Follow with a deep warm paraffin treatment wax. Plus a great 10-minute massage to ease tiredness, and lastly, finished with hot towel wraps that will promote better circulation and leave you with extreme relaxation. Introducing our very own organic honey signature pedicure, a unique way to make your feet and legs feeling more rejuvenated in an environmentally safe and heathy way. This pedicure service will be proceeded with organic sugar scrub exfoliation, followed by an essence firming masque & heated stone massage, callus removal, and deep warm paraffin treatment wax. Finished with hot towel wraps to provide your skin smoothness and elasticity.